Fridaysmove are a leading panel of over Solicitors practices regulated by the SRA and Chartered Surveyors regulated by RICS. The company solicitors' offices throughout England and Wales, surveyors in every county, with its head office based in London. Fridaysmove offer clients an innovative blend of both local and national solicitor benefits. All solicitor members of Fridaysmove carry the coveted Conveyancing Quality Scheme accreditation, awarded by the Law Society. This offers guarantees as far as compliance, risk mitigation and lender panel membership. Fridaysmove ensures that all Solicitors and Surveyors adhere to its core service charter and fixed fee guarantee. Fridaysmove offer great value fixed price property professional services for home buyers, sellers and owners. 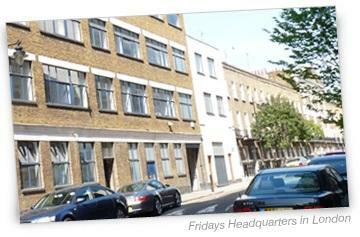 Fridaysmove have 22 staff in our London office and over 150 surveyors and 70 Conveyancing Solicitors across the UK. All conveyancing work is undertaken by Qualified Solicitors regulated by the Solicitors Regulation Authority (SRA) and all Surveys undertaken by Qualified RICS Surveyors. Fridaysmove always work on an absolute fixed fee basis which never varies from initial quote. Quotes for our services can be obtained by calling us or on line at our website. We are typically 20 percent lower than average.